Snapchat is an application that allows us to send a picture or video temporary, but many people do not understand this concept, or perhaps indeed they already understand, but not wise enough to use it. 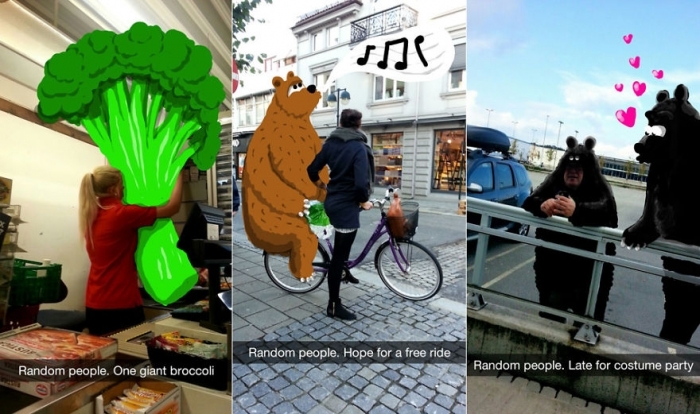 Here are 4 type of people that exist in snapchat. Maybe some of your friends are into these categories. This type of person using snapchat wisely, they should take advantage snapchat canvas to paint, make you wonder and think “how are you doing this?” However the work of The Artist is worthy to be appreciated for their effort in working through snapchat that you can only enjoy for a while, making their artworks became edgy. This type of person makes you want to punch in the face. I appreciate selfie, even I sometimes do selfie. But within a reasonable frequency, and use other social media such as facebook or instagram because these app save your pictures permanently. People who do selfie in snapchat is annoying, this type of people did selfie and send it to a their snapchat friends like every 5 minutes, and sometimes they publish the same photo on account of their other social media. I mean, if you’ve set it up on instagram, why do you have to keep sending in snapchat, believe me, no one wants to see you. Technology does make people become more and more lazy, like snapchat for example. Some people are too lazy to type using the chat application or texting. This type of person using snapchat for texting, sometimes they send random empty pictute accompanied by text. What you have to do with people like this is to take the phone and smashed it. It should be admitted that many people are using snapchat for sexting. This type of person are only sends hot pictures and horny all the time. That is 4 Type of People on Snapchat, so what type of person ought ye in the use snapchat? also read: Why Snapchat Won't Work on WiFi?